The Red Sox season didn’t go exactly as planned. But we’re still very happy that our Big Papi themed koozies arrived today. Yesterday we received our shipment of selfie sticks. 1 week from tomorrow and around 20 regular tickets left. Your ticket includes Drink specials at each bar, Beverage Mitt, Selfie Stick, Koozie, Drawstring Bag, Photo booth, Candy and no covers at scheduled bars. The Sustainable Business Network of Massachusetts’ (SBN) Local Craft Spirits Festival is Saturday in Central Square. Beer Mansion is the weirdest, wildest, most unexpected beer festival yet, all for the price of a couple rounds. Grab your glass and dive in for an immersive room-by-room journey through the world of beer, complete with food, live music, games, prizes, and a handful of surprises. On Sunday, The Craft Beer Fest. Hundreds of Boston’s young professionals will gather to sample brews & ciders from some of the best vendors around. This entry was posted in Halloween, Halloween Crawl and tagged bar crawl, beer mansion, Big Papi, craft beer fest, halloween, halloween bar crawl, Halloween Crawl, halloween in boston, halloween pub crawl, local craft spirits festival, red sox, selfie sticks, wicked wine fest. Big Papi Koozies. Let’s go Red Sox! We decided to go with Big Papi koozies for the Halloween Pub Crawl. Last minute decision but we just got our first proofs. They should look something like this. Included with your registration to the Halloween Pub Crawl on October 22nd. The playoffs begin for the Sox tonight! Time to start thinking about those costume ideas. Don’t wait too long as this will sell out. Your ticket includes Drink specials at each bar, Beverage Mitt, Selfie Stick, Koozie, Drawstring Bag, Photo booth, Candy and no covers at scheduled bars. Oktoberfest MA Presents Oktoberfest Boston sponsored by Samuel Adams & EFFEN Vodka on Saturday October 8th 2016 at Venu Boston! FUTURE ARTS FESTIVAL 2016, Boston’s largest contemporary art festival presented by PABST Brewing Co. + RADIUS Marketing Group, features dozens of influential and emerging artists from around the world displaying and selling their artwork for 1 night only at the Boston Center For The Arts. 2nd Annual Battle of the Brunch at District Hall on Saturday. The 11th Annual HONK! Festival, October 7th, 8th, and 9th in Davis Square. This entry was posted in Halloween, Halloween Crawl and tagged bar crawl, Big Papi, halloween, honk festival, Koozie, oktoberfest, pub crawl, red sox. 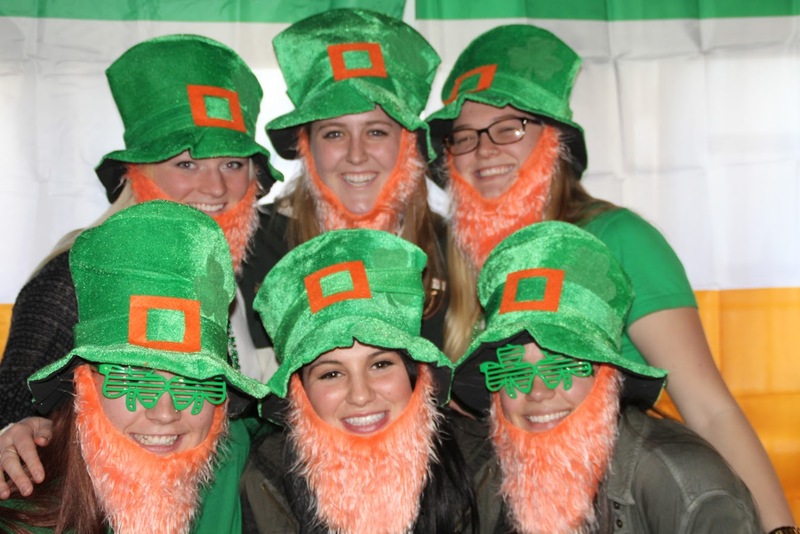 We’ve got the bar crawls to keep you entertained in May, June and July. Best value of any crawls in Boston with the best giveaways. Tickets now on sale for Drinko de Mayo (order by Friday to guarantee your shirt size), Pirate (way ahead of pace from our biggest ever of last year) and now Red, White & Brew (tickets on sale NOW). 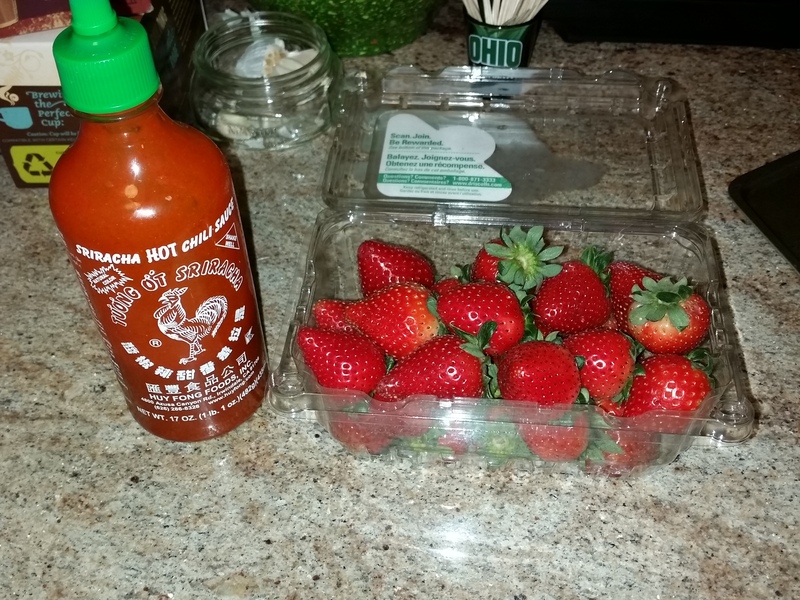 This entry was posted in Uncategorized and tagged 4th of july, bachelor, bachlorette, bar crawl, Beer Fest, birthday, booze cruise, cinco de mayo, college, Drinko de Mayo, independence day, marathon, party cruise, Pirate, pub crawl boston, red sox, red white brew | Tagged: bachelor, usa. Drinko de Mayo is under a month to go. We plan on featuring margarita recipes every Monday until then. Last week we made a delicious chocolate and peanut butter one. Last year we featured kiwi, chocolate and avocado. 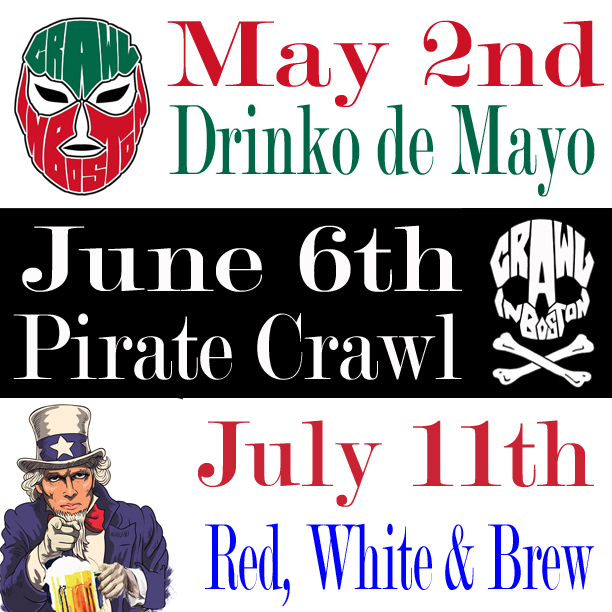 The Pirate Crawl is on June 6th. Tickets for that are now on sale. This year we all get Pirate Flags! 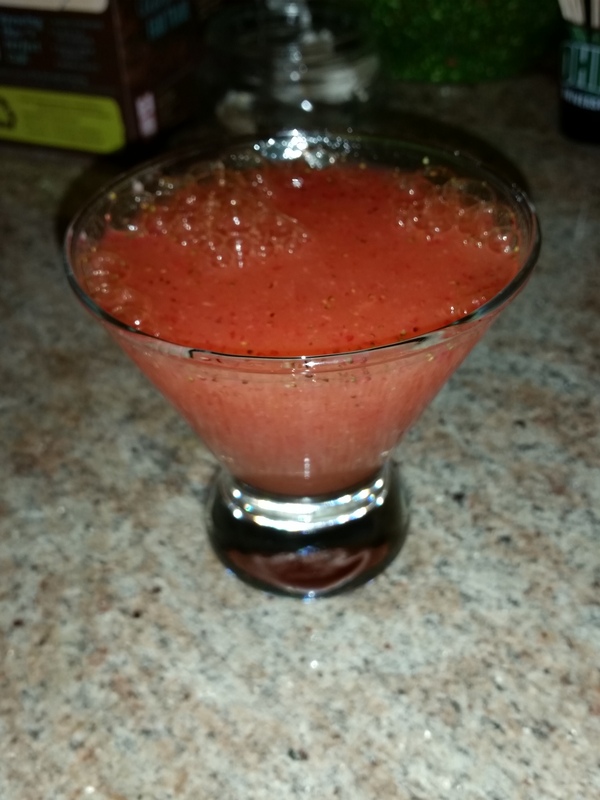 This entry was posted in Drinko de Mayo, Pirate Crawl and tagged bachelor, bachlorette, bar crawl, Beer Fest, boston, cinco de mayo, Drinko de Mayo, hippos, marathon, margarita, mexico, Pirate, pub crawl, red sox, tequila.